SJ Xmas module displays falling snow along with beautiful Christmas images upon interesting effects. You can choose the way to show snow: the Flake number, color, min/max speed…; the background images; the decor images and so on. This guide will help you install SJ Xmas step by step. Number Flake – Allow to input number of snowflake run on screen. Flake Color – Allow to change color of snowflake. Min Size – Allow to input min size of snowflake, units are in pixels. Max Size – Allow to input max size of snowflake, units are in pixels. Min Speed – Allow to input min speed when run effect, units are in seconds. Max Speed – Allow to input max speed when run effect, units are in seconds. 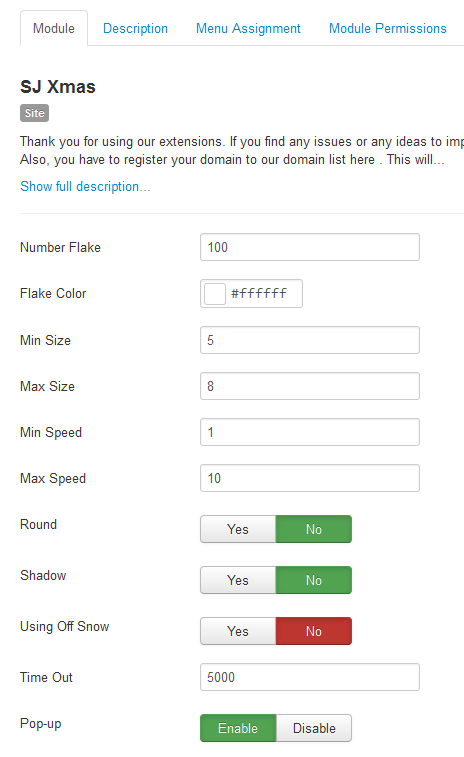 Round – Allow to makes the snowflakes rounded if the browser supports it. Shadow – Allow to gives the snowflakes a shadow if the browser supports it. Using Off Snow – Allow to enable/ disable the snow . Time Out – Allow to enter the timeout value. Pop-up – Allow to enable/ disable Pop-up. 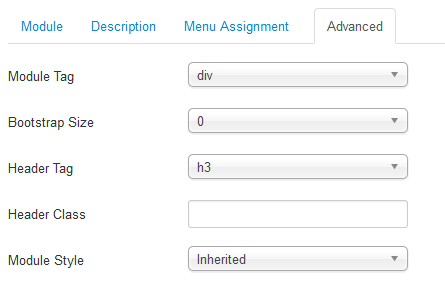 Chose Type – Allow to choose type: Style 1/ Style 2. Santa Claus – Allow to show Snow Man with red hat. Show Snow Background – Allow to Show Snow Background OR not. Christmas decorations – Allow to show Christmas decorations OR not. Show The wind – Allow to show Show The wind OR not. Show Pine – Allow to show Show Pine Or Not. Show Snow Men – Allow to show Snow Men OR not. 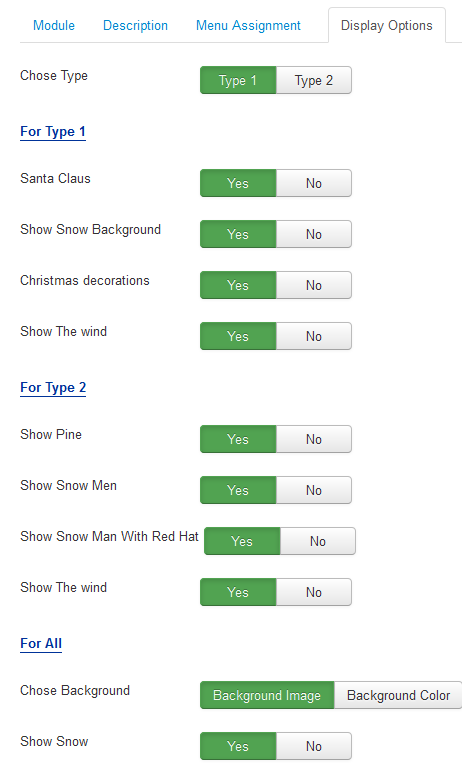 Show Snow Men With Red Hat – Allow to show Snow Men With Red Hat OR not. Show The Wind – Allow to show the Wind OR not. Chose Background – Allow to Chose Background: Background Image/ Background Color. Show Snow – Allow to show Snow OR not. Set Time Start Popup – Allow to Set Time Start Popup. Width Popup – Allow to enter the Width Popup. Set Cookie – Allow to Set Cookie. 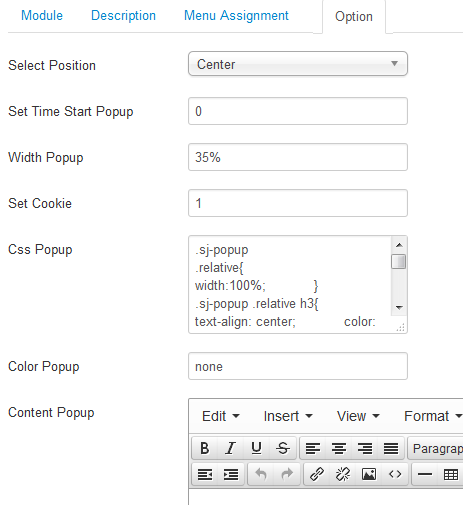 Css Popup – Allow to enter the Css Popup. Color Popup – Allow to enter Color Popup. Content Popup – Allow to enter Content Popup.